Ringworm is a disease that causes red patches on your skin and itches immensely. 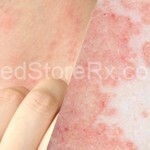 It spreads through body contact or any things that has been used by the person having ringworm. Ringworm or dermatophytosis is actually a fungal infection, which occurs in the skin of human beings and few pets like cats, sheep, etc. 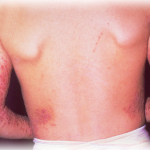 There are many species of ringworm such as tineapedis, tineaunguium etc. Though it occurs in many animals but we will not be discussing about them. We will only concentrate on human beings. They are not any kind of worm but actually a fungus. Ringwormis caused by the external influence of this fungus through various sources and grows best in damp areas like swimming pool, folds of skin etc. It causes rashes around the area and causes itchy sensation. The skin becomes very dry and scaly. The rashes spread in a round shape and the area turns red. It is very common in the folds of hands, groin, inner thighs etc. 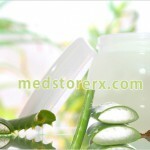 Ringwormcan be treated by using creams that are widely available in the market. Use them as long it is prescribed in the label or the doctor so that they don’t come back again. If you neglect the early signs, then it will only worsen the situation.